I honestly can't remember a more relaxing Christmas-time. We've spent an obscene amount of time in pyjamas, eating and drinking and being generally totally self-indulgent. All of which has been played out to a soundtrack of One Direction's new album on repeat and enveloped in a thick fog of One Direction's new perfume. 1. Nobody likes the gold-wrapped toffee pennies in Quality Street. 2. Everybody fights over the strawberry and orange cremes in Quality Street. 3. Wine doesn't always improve with age. The grand opening, at Christmas lunch, of a 23 year old bottle of Chateau La Jarousse bordeau was a definite anti-climax. It tasted more like malt vinegar than wine. My £7 merlot was far more delicious. 4. I think I've underrated turkey and have resolved to buy it more than once a year. Not only is it extremely nutritious but it's also incredibly versatile. We've had it roasted, curried, in sandwiches and, last night, as hot and spicy rissoles. 5. My husband doesn't look half as attractive with painted toe nails. 6. I really do cook extremely well when I'm squiffy. 7. I think I am slightly addicted to the American television programme, Storage Hunters. 8. My brother-in-law is a bit of a dab hand at digital photography so guess who's been picking his brains? 9. I'm sick to the back teeth of One Direction music. This afternoon I've been having a wonderful browse through my 2013 archives. One of the biggest joys having a blog affords, of course. Gosh, so many little things I'd forgotten. I've picked out some of my favourite pictures by way of a little recap. On reflection, it was a pretty good year I think. Definitely a colourful one. I don't know about you, but I tend to get a little bit twitchy about the start of a New Year. I wonder what the year ahead will hold and find myself dwelling on the negative things that might happen. Completely silly, I know. This year I'm going to greet 2014 positively. It feels good, just saying it, "twenty-fourteen". Nice and even. Strong. So my dear friends, thank you so much for coming to visit me in my little corner of the internet over the past year. I've enjoyed every single minute. Let's do it all again next year, shall we? Lovely post, great pics. Happy New year, it's going to be a good one. Hi Heather, gorgeous images from your year and thanks for making me laugh. Storage hunters is strangely addictive...the boys watch it and even my Mum loves it. Lovely, lovely pictures, what a wonderful look back over the year. I shall have to look back at mine I think - its seems ages ago I started my blog earlier this year. Your post made me laugh alot and we so need to arrange to meet somewhere on a motorway between my house and your house to swap tins of left over Quality Street - nobody here eats the strawberry or orange creams and we fight over the gold pennies !! Lets synchronise watches and set a date ! Ooops, meant 2014 obviously ! Such beautiful photos. I know exactly what you mean about being twitchy at New Year, I am the same. A slight sense of unease about what may lie ahead. But you are right, the only way to go forward is to be positive. I'm wishing you the very happiest of years. 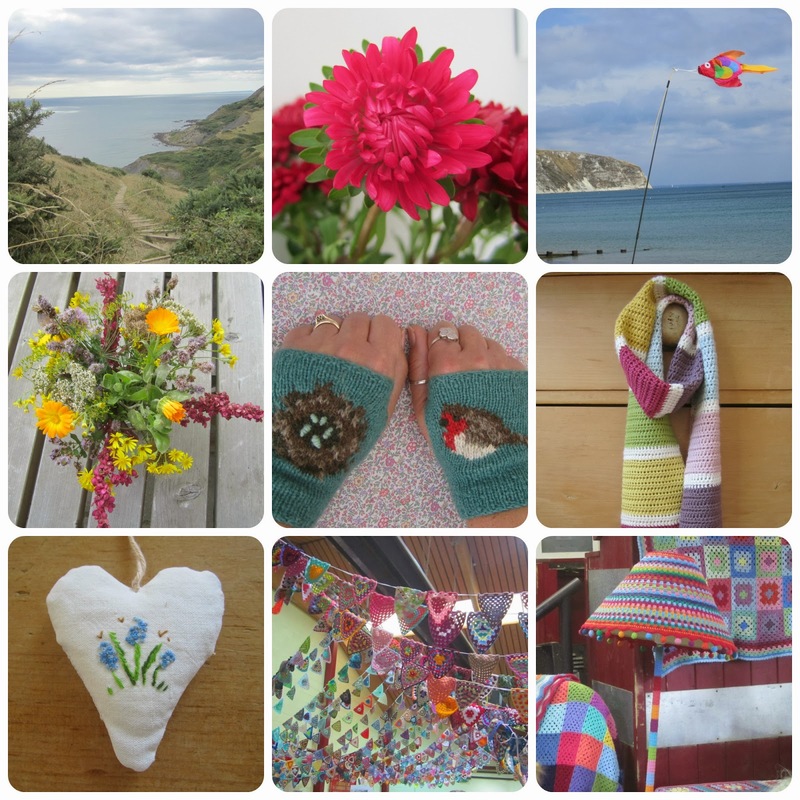 What a gorgeous collage of pics - and your post gave me a giggle, especially the bit about your hubby's painted toenails! Oh Heather, this made me laugh as my husband is obsessed with Storage Hunters, he really is. He's gripped by it. I poo-pooed it for ages then found I was watching it too...it's strangely absorbing. Your Christmas sounds idyllic and you sound happy. I know what you mean about feeling twitchy about the new year - I am feeling like that - but just saying 2014 loudly and happily does help. Also, your collages are totally gorgeous. You have such a unique style and an eye for colour. A lovely and funny post, just love your tongue in cheek observations, I bought a couple of bottles of a sparkling rose wine at £6 a bottle and it was delicious with our Christmas dinner. How nice to look back through the year with all your favourite pictures with each one telling their own story for you. Happy new year for 2014 for you and I look forward to your posts through the new year. What a truly beautiful collection of images, just a joy to drink in. I wanted to stop by and wish you a very happy new year and to thank you for your visits to the Attic. Your words have been wonderful and supportive (you know what I mean) and I send you much love and happiness..........see you at Yarndale???!! 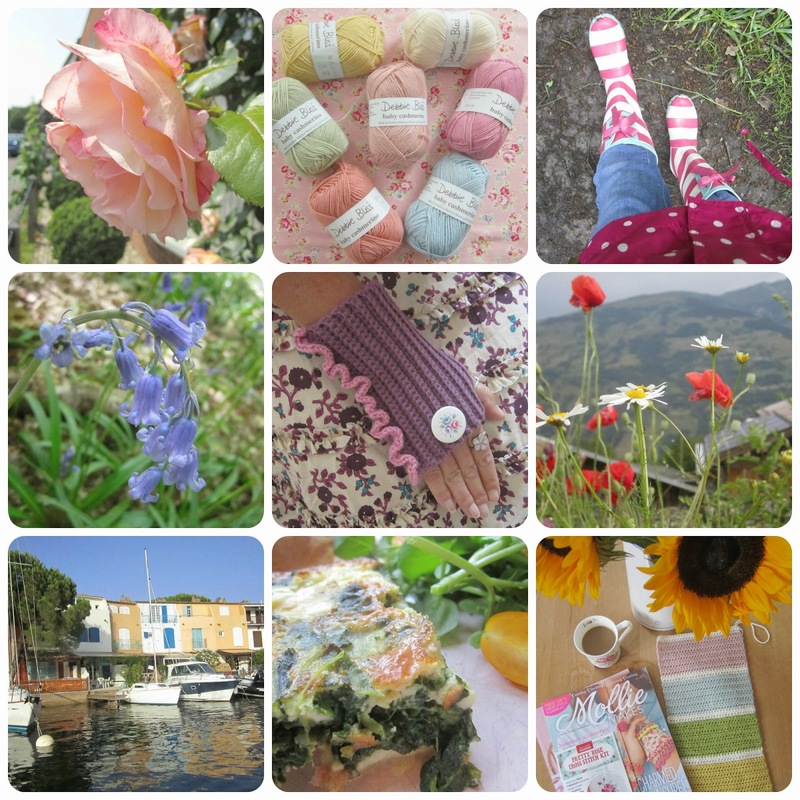 A beautiful round-up of pics, you've made some lovely things in such beautiful colours. I hope you had a good New Year and a wonderful 2014. Hi Heather, What a lovely post!!! 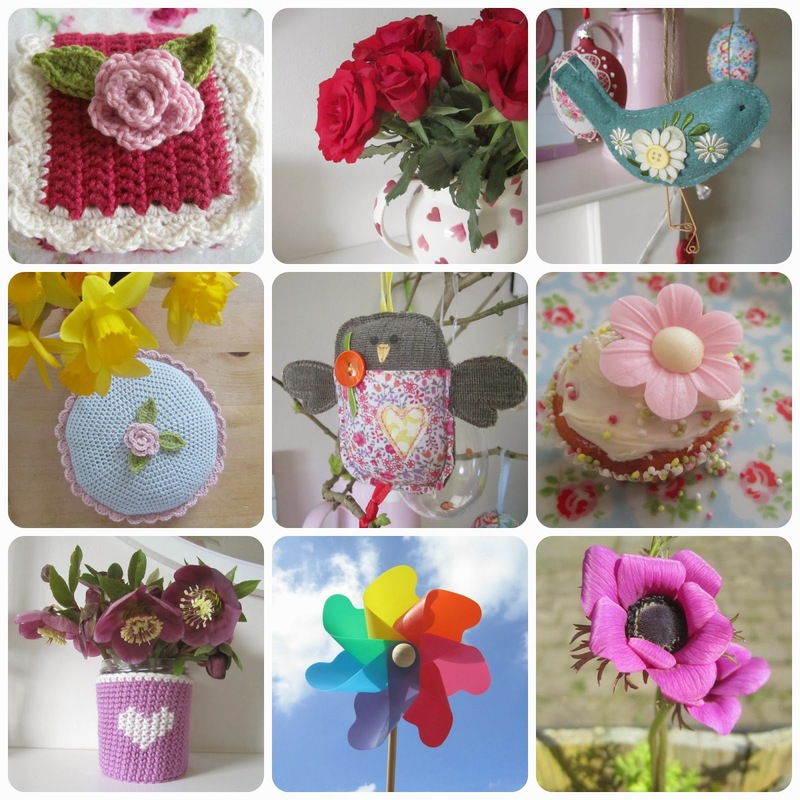 Happy, bright, colourful and creative!!! Hope 2014 is going to be filled with lots of the same!!! Hope 2014 is going to be fun-fabulous!!! 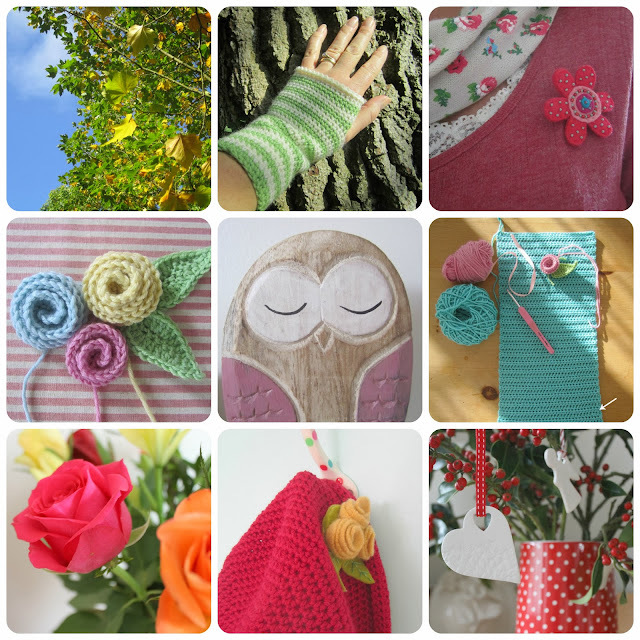 Such a lovely colourful post. You have had a gorgeous crafty year and I have very much enjoyed reading your blog and following your crafty journey this year. Wishing you a very happy, healthy and creative 2014! beautiful photos, beautiful crochet, you choose such lovely colours! On the first day of Advent I finally emptied last year's (2012) box of Quality Street in the bin to get rid of the strawberry and orange ceams and the coconut ones; I swore that would be the last box ever - only to have dh come home with TWO new boxes just in time for Christmas! They are so very festive!